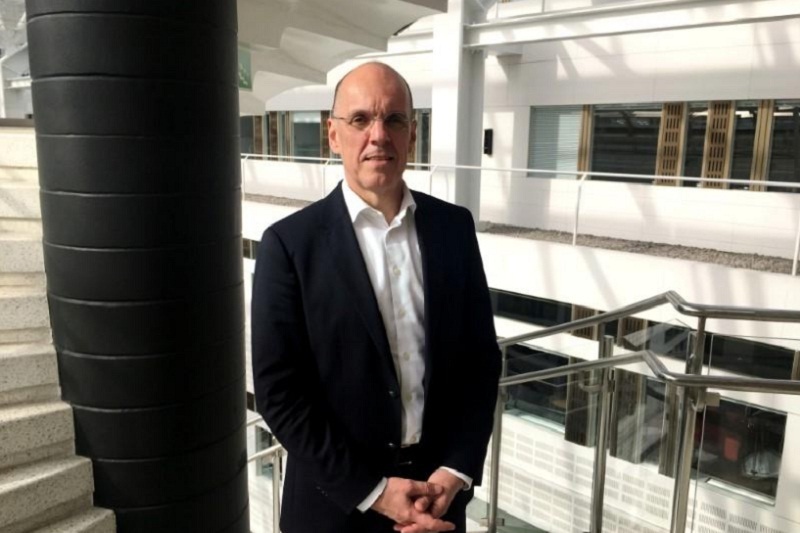 Autoliv CEO Jan Carlson poses for a picture at company headquarters in Stockholm, Sweden May 22, 2017. Picture taken May 22, 2017. STOCKHOLM - Autoliv the world’s largest maker of airbags and seatbelts, said it aims to split into two companies under a strategic review announced on Thursday. The Swedish firm said it intended to create two publicly traded companies, one focused on passive safety - equipment such as airbag systems - and one focused on electronics, which includes radar products and advanced driver assistance software. “Over the last decade our Electronics business has grown and matured next to our world leading Passive Safety business and today we have two distinct, successful businesses,” Chief Executive Jan Carlson said in a statement ahead of Autoliv’s capital markets day in Frankfurt. Autoliv said there was no guarantee the review would result in any transaction, such as a separation or listing of the businesses, and estimated any separation process was likely to take around one year. The company has seen major market share gains on order intake in its passive safety business over the past two years following the collapse of Japanese rival Takata 7312.T in a recall saga. But the auto industry’s long lead times have meant that Autoliv is only now starting to reap the full benefits of those business wins. Autoliv’s U.S.-listed shares are flat so far this year, lagging a 16 percent rise in the Dow Jones U.S. Automobiles & Parts Index .DJUSAP. Extra spending needed to deliver the influx of orders in recent years and technology investments needed in its electronics business have weighed on the stock, while worries have mounted over slower growth in the global car market. The company said it expected sales to top $12 billion in 2019 while analysts are on average forecasting sales of $11.9 billion in 2019, Thomson Reuters data shows. Autoliv the world’s largest maker of airbags and seatbelts, said it aims to split into two companies under a strategic review announced on Thursday.